Can the "cutting edge" technology of sports television be of any help to horse racing? Some of the pioneers in television tech said yes, in presentations May 7 at the Asian Racing Conference in Hong Kong. "Our philosophy is bringing people closer to the game, making them feel what it's like on the field of play," said Gary Burns, head of programmes and production for FOX Sports Australia. 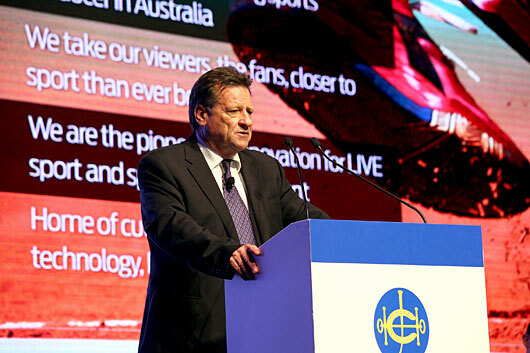 Burns said FOX Sports Australia uses such techniques as "Cornerpost Cam" in rugby, "ref cam" in soccer and "FOX Kopter," a drone-like device that provides mobile and wireless coverage above sports events, including a recent introduction into surfing. "One went into the drink just a couple of months ago. That wasn't a great moment," he admitted. But through video clips, he demonstrated the technique "is almost like being there" for the viewer. Joerg Heise, from German-based Riedel Communications, detailed much more expensive and complicated communications and coverage equipment used in Formula One racing, the Red Bull Air Race and the 2012 Stratosphere Jump by Felix Baumgartner in New Mexico, which would have been impossible as a commercial video presentation without special-purpose systems. Riedel enhances presentation of events through multiple camera positions, graphics, post-production digital, second screen views and "point of view" provided by miniaturized cameras, "bridging the distance from the action to the audience." But neither of those operations involves horse racing. So how could their products and innovations benefit racing? 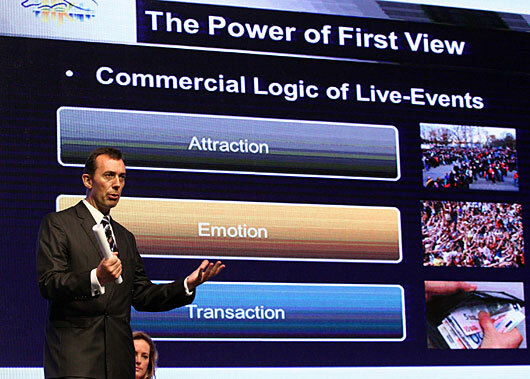 Heise noted Formula One, without enhanced communications, "is really boring." In today's world of sports fans' high expectations and short attention spans, the parallel to racing is obvious. "Application of technology expands the attention span of the viewer," Heise said. "They are emotionally involved in what they're seeing. It all boils down to being fully immersed as an audience and not just watching and getting bored." He said his company is "trialing" with the Hong Kong Jockey Club at the Happy Valley Racecourse. And Oonagh Chan, head of broadcasting services for the HKJC, said the use of technology, including aerial coverage, is important to the future. The HKJC also has an extensive graphical version of races, used both on track and in the "gamification" of racing for younger fans, Chan said. James Gagliano, president and chief operating officer of The Jockey Club, presented to the seminar a summary of United States' initiatives in television, including the America's Best Racing series and the newer "Jockey Club Tour on Fox" partnership with FOX Sports1. 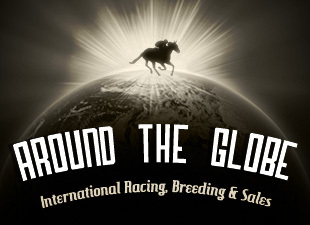 Gagliano said the increased television exposure, supported by Web-based and social media outreach, has played a role in recent increases in wagering and attention to major American racing events, including the Triple Crown races.